Join LLHP and Gas-Art Gifts for Painting our history on Saturday October 10th between 4-6. 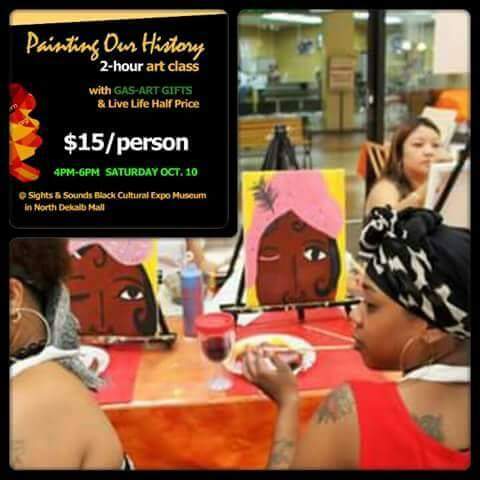 Painting our History is a two hour BYOB canvas painting class that will lead by the very talented Gregory Christie. All the supplies will be provided and you get to take your artwork. The event will be held at the Sights and Sounds Expo Museum inside the North DeKalb Mall. Enjoy the museum for FREE before or after the class. The canvas painting class is $15 and includes all the supplies.